Here at Babyology we love wooden toys and decorations, and we have found a store that stocks an amazing range of wooden goodies for babies through to teenagers. 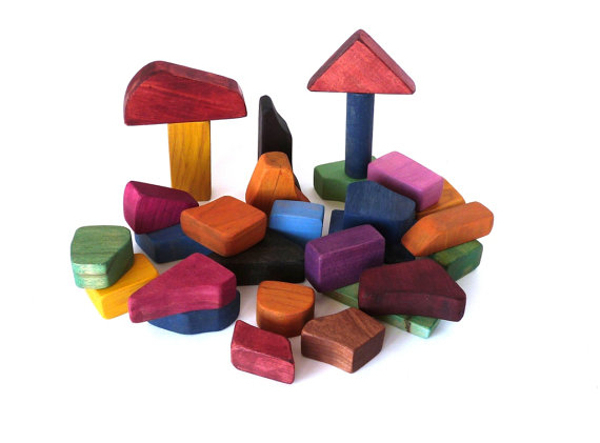 Canadian Etsy store Wood Heart Gifts really does have an eclectic range of wooden toys and gifts. From toys that are pretty much standard (think blocks and teething rings) to those which are much more unique (wooden swords! ), as well as gifts for adults, you really could complete a lot of your Christmas shopping in one swoop. It is hard to go past a dolls house as a gift for a child. 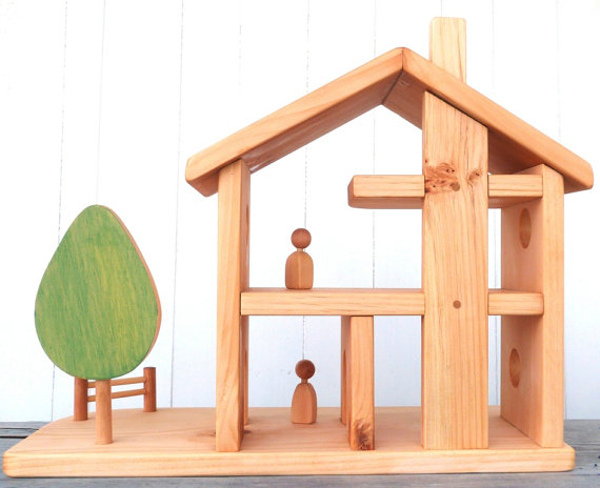 Both boys and girls flock to them, and the dolls house by Wood Heart Gifts is such a simple, timeless classic, and at $120 for a handmade wooden toy it represents great value as well. 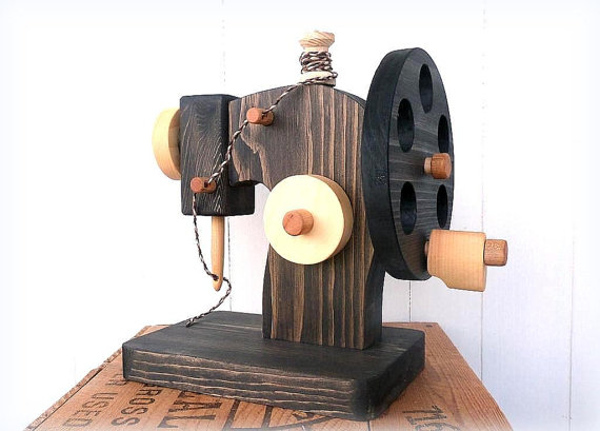 My absolute favourite item has to be this wooden sewing machine. My three-year-old and almost six-year-old would just love to ‘sew’ clothes for their dolls and bears (surprising, since I can neither sew nor even own a sewing machine). The sewing machine is made to order, and is the type of toy that will become an heirloom piece. It is $148. 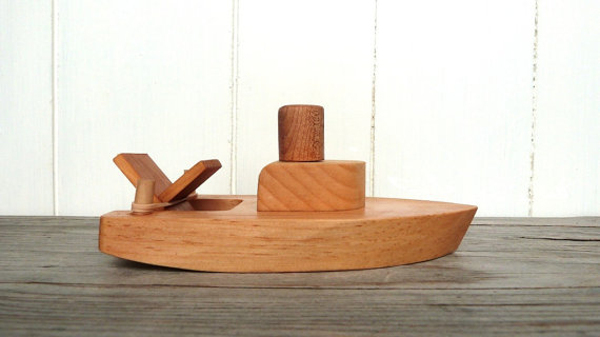 The wooden boat bath toy would be another sure-fire hit in our house. The wooden paddle boats are powered by elastic bands, and are great for water play outside this summer. They are $26 plus postage. For babies, Wood Heart Gifts have a lovely selection of chemical free wooden teether toys, as well as some beautiful wooden blocks. There is also a range of hand-crafted wooden key rings that would make perfect Kris Kringle gifts this Christmas. Wood Heart Gifts ship internationally, though shipping could take up to eight weeks depending on stock, so if you are after Christmas gifts, best to get in soon.